I lived on the Front Range for years, making time to get up into the mountains whenever I could. After a four-year respite from the Centennial State – living in the cloud-covered gray of Oregon – I recently returned to Colorado. So, now that I am living in Boulder I’ve been trying out new trails all over my re-found home. But finding new trails is often difficult. That’s why I was happy to discover “Snowshoeing Colorado,” by Claire Walter, in my mailbox recently. As soon as I opened Snowshoeing Colorado, flipping through page after page of great snowshoe outings, I started thinking about the upcoming weekend and where I’d be off to. 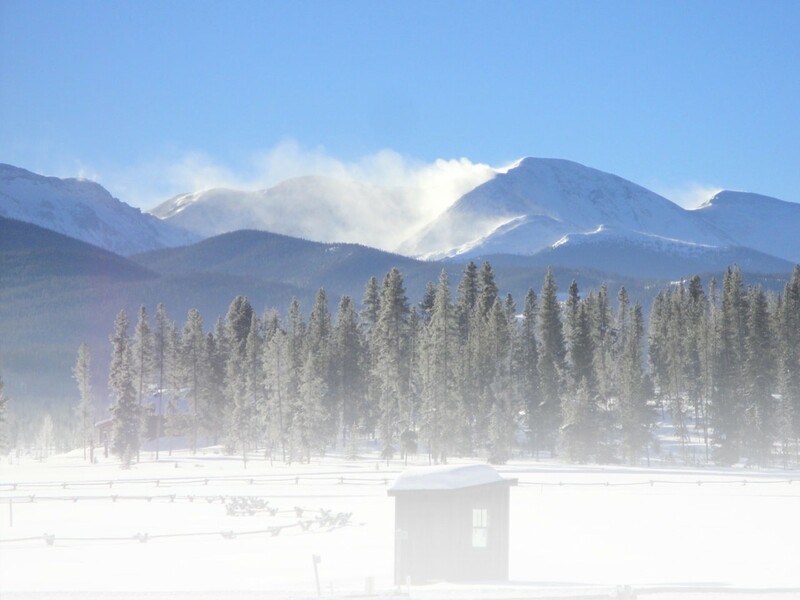 The guide includes trails and snowshoe-parks in every part of Colorado’s high country. But I was momentarily focused on the Front Range section. I found 64 trails listed, most of which I had never snowshoed before. Ok, I thought, now I have plans for the next…30 weekends. In all, the guide lists 182 trails. That’s enough new information to get any snowshoer excited. Each trail description includes helpful information like a difficulty rating, elevation, avalanche hazards and trail length. There are also driving directions to the trailheads and a brief synopsis of what you’ll be in for on that particular trail. The maps provided will get you to the trails, but you’ll need your own topographic maps when out on the trail. My only complaint – small as it may be – is that there aren’t more photos. I love to be able to look at a great picture in a guidebook and say, “There. That’s where I want to be.” Maybe in the next edition? One thing I really like about Snowshoeing Colorado is the information it has that other guidebooks usually don’t. Like local races. I love the occasional race, and having race information listed beside local trails is a good match. As I read about the trails around Aspen, I stumbled upon a series of snowshoe races. I might try that out this spring. Also, there are guide services and other extras tucked into the trail descriptions. If you’re new to snowshoeing, Snowshoeing Colorado will also give you great tips on getting started. The beginning on the book includes information on equipment, technique, etiquette and a host of other important snowshoeing-related tropics. If you don’t know much about the backcountry, or say, whether you should or shouldn’t bring your dog out with you, you’ll get a good primer here. And if you don’t know anything about avalanches, you will after a quick read through the Avalanche Awareness section. Walter says that Snowshoeing Colorado “is about the sheer joy, the health benefits, and the thrill” of snowshoeing. Indeed, a joy and passion for snowshoeing is what the book exudes. If you’re new to Colorado, or just looking to find new trails like me, pick up a copy. I bet you’ll be excited as I was. Snowshoeing Colorado, by Claire Walter. To purchase a copy of the book, visit this link: http://www.amazon.com/exec/obidos/tg/detail/-/1555915299/qid=1102633783/sr=1-1/ref=sr_1_1/103-9005083-6899803?v=glance&s=books. This entry was posted in Books/DVDs, Gear Reviews by Kyle Boelte. Bookmark the permalink.